I grew up in Watertown, NY, but after finishing my education I moved to Boston. I had always been intrigued with the history of Boston and wanted to live there. Since my education was in the medical field, it made since to move to Boston, where job opportunities were abundant. So after a short stint at a private lab in Albany I moved to Boston. I can remember a small group of politicians who were infamously known for their bigotry towards anyone who wasn't Boston Irish or who were gay. I must say that I was a bit intimidated by these at first but learned to stay away from their territory in South Boston. This was in 1985 and eight years later things became to change. 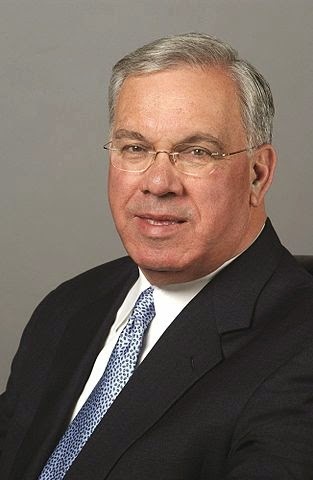 In 1993, after Mayor Flynn resigned to take an ambassadorship, Tom Menino became acting mayor. He went on to become the longest serving mayor Boston has ever had, winning every election with a wide plurality. During my time living in Boston, my adopted home town, a lot changed. Menino championed the rights of all Bostonians, not just a select few. I can remember that every St. Patrick's Day, the organizers of the parade denied any gay group the right to march in the parade. I can still remember the bigoted head of the parade, Whacko. Yes that was really his nickname and he was proud of it. Menino refused to march in the St. Patrick's Day parade, but he proudly marched in the annual Boston Gay Pride parade. He was not afraid to frequent Black, Hispanic, Vietnamese or Chinese neighborhoods or eateries, as he seemed to thrive in the different cultures that Boston was becoming a home to. I can remember when he first became mayor he attended our little neighborhood block party and came to my house to pet the dog. He was just another neighbor. When I tell people I lived in Boston they often ask how I could stand the high taxes and big city life. The truth is I paid a lot less, about 50% less in taxes than I do now here in upstate New York and the "big city" of Boston was more like a bunch of little neighborhoods of different backgrounds, all living together. Boston became this way because of Mayor Tom Menino. He was truly a politician who cared for his city and its people more than politics and money. He was Boston and Boston will miss him, but she will never forget him. Thank you Mayor Tom Menino.